Jeffco Java Wall-Mounted Mirror w/ Ledge. 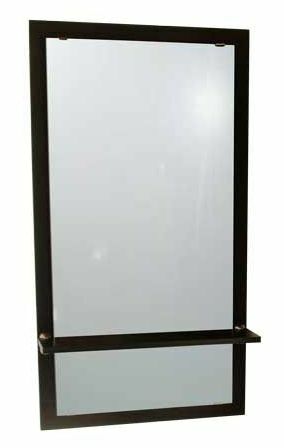 24"W x 48" x 1/4" mirror w/ 2" wide reveal, pre-drilled for J mirror-clips, included. 28" wide x 8" deep laminated ledge w/ satin steel shelf hardware. Designed to be the perfect companion for the Jeffco Java family of stations, but can be used anywhere.